“All that remained were shattered plates and a dying soul. I was flat on my back in my soul and succumbing to full-blown physical, mental, and emotional exhaustion.” This was the turning point for Sharon Houk who invites us on a poignant personal journey of holistic soul care. 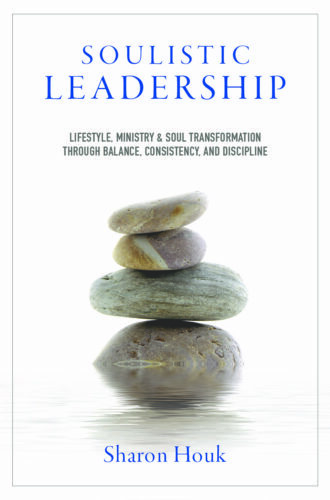 Masterfully weaving together her story with six dynamic biblical principles, Soulistic Leadership delves deep into the personal side of ministerial leadership, uncovering where pitfalls and uneven balance can cause the downfall of a leader’s physical, mental, emotional, and relational health.